Marylawn School of the Oranges authorities have filed an application for a permit to demolish the historic home the school owns on Scotland Road because they feel threatened by a new law that would create a historic preservation commission in town. The Montrose Park Historic District Association (MPHDA), of which the house is a part, is fighting the permit. So is a group of Vose Avenue neighbors. They plan to try to hold up the permitting process by filing appeals about drainage issues connected to clearing the land. Members of the MPHDA say the demolition permit is heading to the planning board for review. Marylawn’s board has had the property, which sits at the corner of Scotland and Stewart Place, on the market for nearly two years. Although the site includes three acres, it seems to be priced above the market. 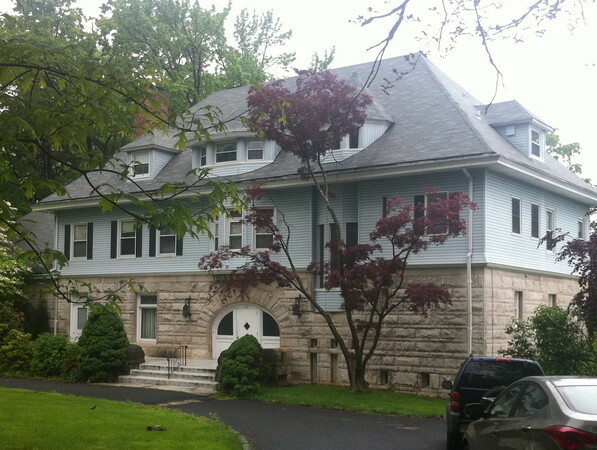 The school wants $3 million for the land; by way of comparison, the most expensive house on the market in South Orange at present is a grand, totally up-to-date house on Montrose Avenue that sits on nearly two acres and is on the National Register. It is priced at $1.7 million. At one point the school had a buyer, a developer who planned to construct an apartment building. Sister Joan Retka, chairwoman of the Marylawn board, said the board viewed the developer’s proposal as a “win-win” situation, that would have provided Marylawn needed money and the town new tax ratable (as a nonprofit, Marylawn does not pay taxes on the property at present). She also said the design was sensitive to the surrounding residential neighborhood. But Retka said the town and the neighbors put up so much flak the developer eventually withdrew his contract. For their part, neighbors say the Marylawn board has resisted ideas put forward that would have allowed it to develop the land while retaining the mansion, including subdividing the remaining land for condos or single family houses. The property is zoned residential. Retka did not want to discuss other options. But she insisted that Marylawn could not afford to keep the house, nor could it find a buyer for the house as is. She said experts have said the mansion, which was used for Marylawn’s first school and until August of last year housed nuns who are part of the order that runs the school, needs at least $1 million worth of work. Naoma Welk, the president of the Montrose Park Historic Association, disagrees. She has taken a tour of the house and said, while she has not had an engineer look at it, from her perspective the house needs simple updating. The kitchen, for example, is still in the basement, although she said there is plenty of room for it upstairs, thanks to ample butler’s quarters and pantries. The house also includes a ballroom. Even though Retka said no one was willing to compromise, Christopher Krecke, who also sits on the MPHDA board, said members of the board would love to talk to Marylawn about other options, and would happily help them find a developer who might be able to do higher density development without tearing down the mansion. But he admitted the Marylawn board has put them all in a defensive position. “We feel like we have to fight to block it,’’ he said.